My wife and I celebrated our 7th wedding anniversary this week. For dessert I brought home the Strawberry Mille Crêpe and Flourless Chocolate Cake from Lady M.
Lady M is a bakery whose mission is to bring the unique flavors of Japanese desserts to America. 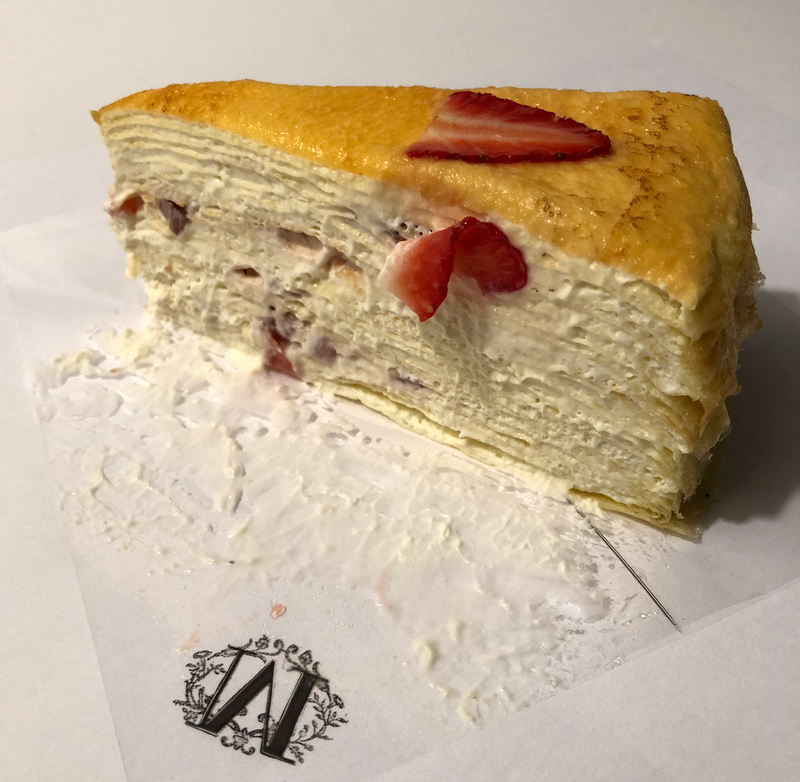 Their signature dessert is the crêpe cake which is made with no less than twenty layers of lacy thin crepes, whisper light pastry cream and a golden caramelized top. I’ve eaten the Mille Crêpes and the Chocolate Mille Crêpes before, both are outstanding and Highly Recommended. Since my wife likes strawberry shortcake I thought she would enjoy the Strawberry Mille Crêpes. Overall the cake has a light and airy feel. The cake begins to melt at room temperature so it’s best to eat it soon after taking it out of the refrigerator. The crepes are delicate while the pastry cream is sweet without being too sweet. I’ve always felt that strawberries have a slightly overpowering taste and their flavor in this cake is no exception. My wife and I have agreed to disagree on the rating. While she rated it Highly Recommended, I on the other hand would prefer the purity of the Mille Crêpes or Chocolate Mille Crêpes. 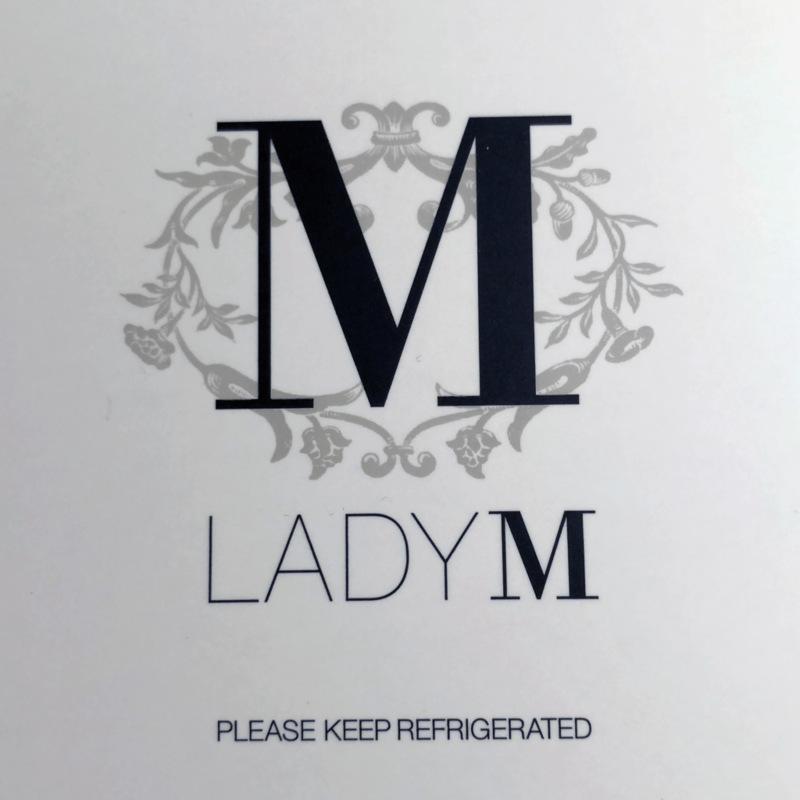 Never heard of Lady M before but will try it when I’m in the city next month.